A sample of the stage set up as performed in a preceding season. 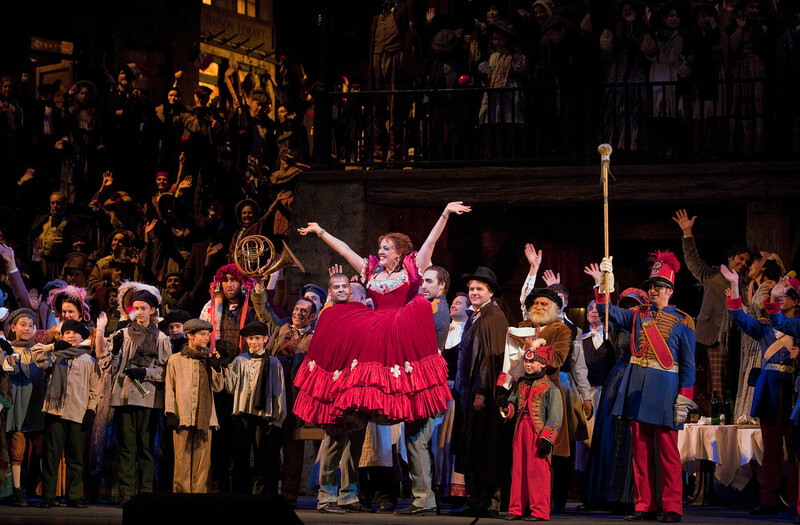 La Boheme is an opera that does not need introduction and most of our readers probably had the occasion to see its performance at least once, but seeing this version at the Metropolitan Opera may offer a unique opportunity that should not be missed. The intricate set designed by the famed movie director and artiste par excellence Franco Zeffirelli serves many purposes: it creates the proper settings for the story as originally described in the libretto; it offers a thrilling visual experience; it is designed for an optimal movement of the singers; and in the second act, it allows an unbelievable amount of people on stage without any encumbrance. If you think that is always the standard of opera sets, think again. Zeffirelli puts the spectators in awe and in a state of relaxation at the same time, allowing them to be absorbed completely by the story developing in front of them and to forget being in a theater. Certainly that occurred also because of the perfect amalgam among the performers, who excelled in their acting ability, if not all in their singing one. Mimi was interpreted convincingly by a superb Sonya Yoncheva, who shone without overpowering the male singers, although in the first scenes, a slightly weak Rodolfo, interpreted by a usually valiant Charles Castronovo, seemed to struggle to be heard above the music. The orchestra was performing in an impeccable manner, thanks to the Italian conductor Riccardo Frizza, who was able to extract from it a truly emotional and luxurious sound, something Puccini would certainly recognize and approve of, and it was not drowning any of the singers’ voices; I was therefore surprised by this occurrence. Thank God, Castronovo found his volume and made up for this early shortcoming by singing the rest of the opera with heart, offering a congenial Rodolfo by using his richly-textured voice to enhance the emotional undertones of his relationship with Mimi and with his friends; in particular, his duets with Mimi were tender and showed a perfect chemistry between the two singers. Schaunard was executed by the funny and agile baritone Alessio Arduini, who showed how important that part could be in the balance of the story if interpreted as it was intended to be. That his voice was rich and resounding certainly helped even more in bringing the character alive. Arduini is definitely a promising baritone and his future will certainly be more than successful if he keeps the good work coming. 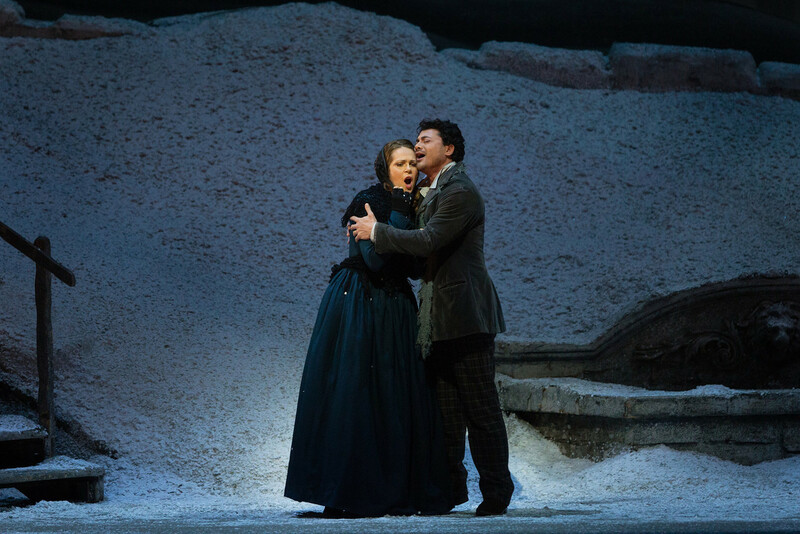 David Bizic’s Marcello was poignant and his voice supported and complemented Rodolfo’s singing so well that Castronovo’s unconfident beginnings almost slipped by unnoticed. Marcello was also convincing in his amusing exchanges with Musetta, and their interaction was optimal, focusing on their impulsiveness, his jealousy and her emotional volatility. To complete the impeccable group of Bohemian friends, ready to give up all their belongings, even to take literally the coat off their back, was the magnificent bass Matthew Rose as Colline, who gave an unforgettable and touching version of the famous aria “Vecchia zimarra.” His physical presence making him quite noticeable, Rose has the gift of a marvelous voice and obviously of a great technical training, since his performance was flawless. The enactment of the male singers as a whole was so well controlled and their characters so believable that for once I appreciated fully the meaning of friendship as the composer and the librettists had most probably meant to transpose through their work. 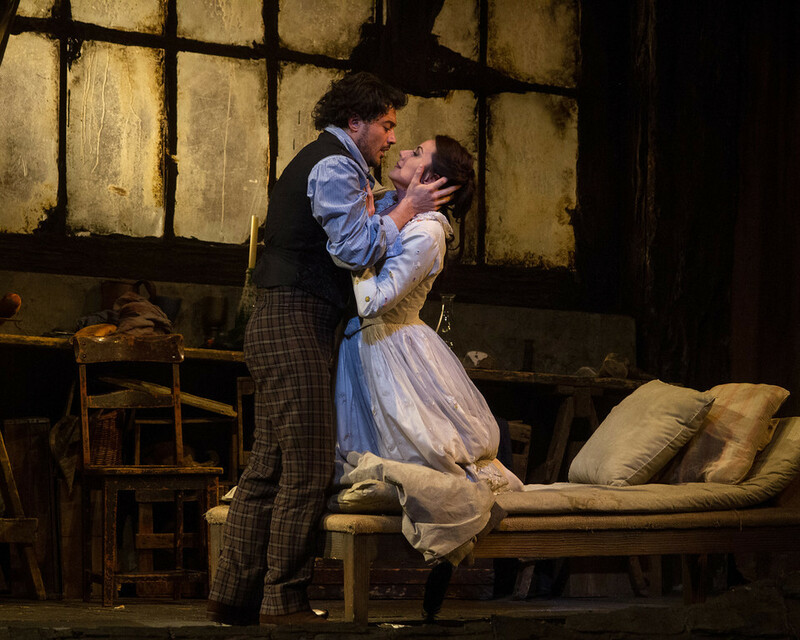 That is not to say that the love affairs of Mimi/Rodolfo and Marcello/Musetta appeared as secondary, but the friendship displayed heightened even more the tragedy of the tortuous love affairs, in particular that one of Mimi, who dies in her lover’s arms after leaving him so as not to make him feel guilty, just one of the many gestures of unselfishness demonstrated by the protagonists. It was an exciting and inspiring experience to actually see this aspect of the story so well developed. Greek soprano Myrto Papatanasiu’s Musetta presented a fair vocal performance, but her stage presence was exceptional and her acting was impeccable. John Del Carlo’s (Benoit and Alcindoro) carried his two parts very well, both as a singer and an actor, offering, just as Schaunard and Marcello, a fresh comic relief that allows the strong emotional stress caused by the underlying tragedy not to overcome the spectator. 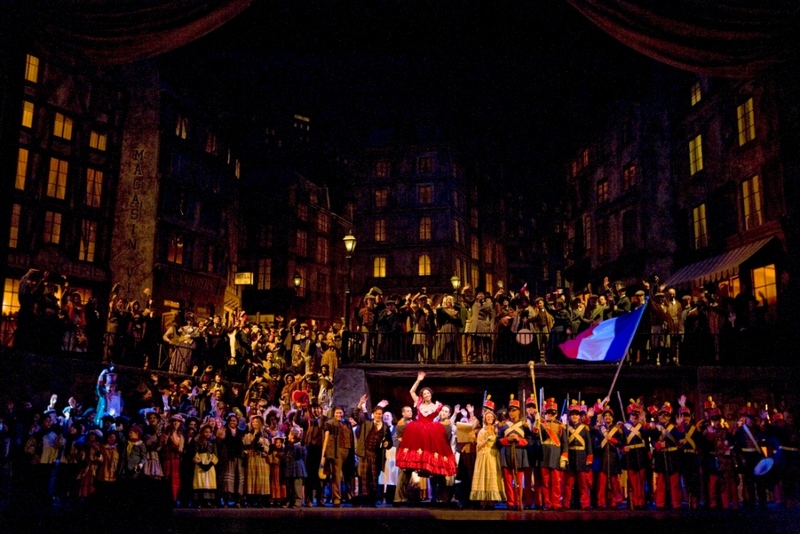 As I mentioned, La Boheme is an extraordinary opera, but this particular performance at the Met is unforgettable and deserves to be seen above all others. Some of the performers will change in the future performances, but we were told that all of them are as capable and enthusiastic about the opera as the ones I saw. Enjoy it.